Queen of the Night. 2011. Watercolor on paper, 9 × 12″. Although I took on this commission at the 2010 New York Comic Con, I didn't complete it until the following year. I posted it previously on Twitter, but here it is again in case you didn't catch it. 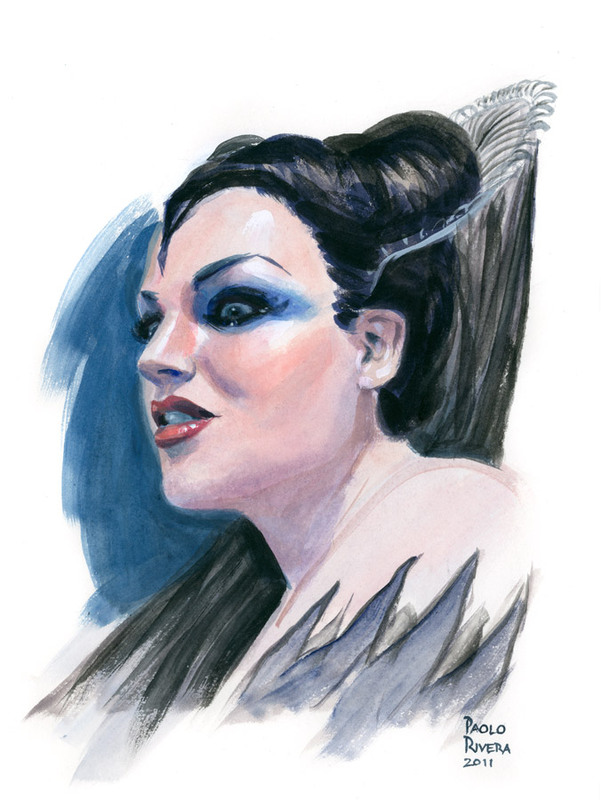 The head shot is based on Diana Damrau's Queen of the Night from The Magic Flute. It's not a great likeness, but I also didn't want to copy verbatim an existing photo. I've also got a new interview up at Panels on Pages. Beautiful technique as always, Paolo! Congrats!